As today, June 6, is a Memorial Day in Korea where they commemorate the men and women who died while in military service, T-ara's Qri is here to do her part. 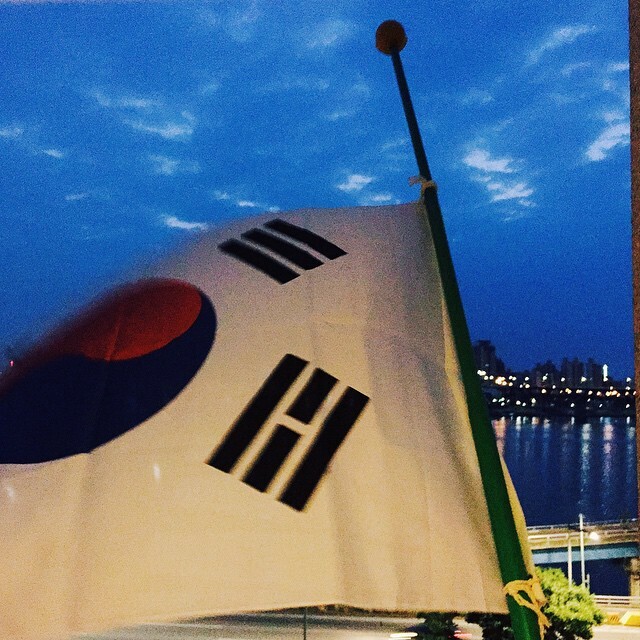 "Should go hoisting the Korean flag..
We're going to #HongKong today!! >_< #MemorialDay #KR"
I came back but I'm not sure if it's not getting blown away by the wind and disappearing ㅠㅠ"
Also check out her photo with Yoon Ho Cho below. Meanwhile, T-ara is off to Hong Kong for the 2015 Hong Kong Youth Festival.